Available in credit card and A7 closed sizes as standard. The Carry And Keep card is a new product that is gaining a first class reputation as a venue guide for tourism marketing to promote attractions, theatres, arenas and stadia. 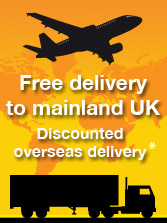 This product, or even the Little Big Card, is a pocket brochure of choice for any venue large or small. Another sector using both these pocket brochures successfully is Local Government Authorities who need guides and information brochures to be self-funding due to cuts in budget. 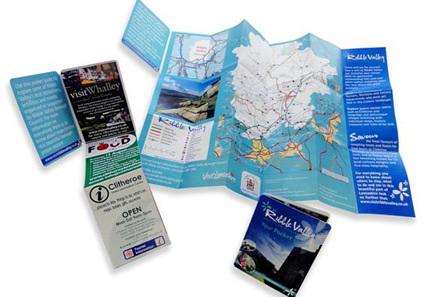 There is ample room to sell advertising space to retailers, restaurants and local attractions on one side of the folded inserts making them both ideal Tourist Office pocket brochures. 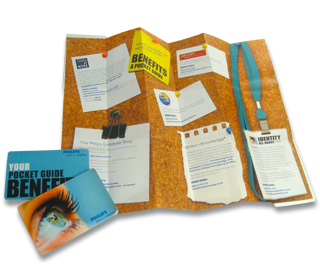 The Little Big Card is a product that lends itself perfectly to the pocket brochure range, ideal for maps, product information, trade show give-aways and exhibition hand-outs. The Little Big Card is credit card or A7 size and it's z-fold inner unfolds to A4 and A3 respectively. It is perfect to keep long after the initial use, extending your advertising profile greatly. The Carry And Keep card is a similar pocket brochure design but always has an outer size of A7 with an insert unfolding to A3. Nowadays small is “King”, no longer do we want to carry bulky maps and guides – we need pocket sized print that is easy to use and will keep clean. The Little Big Card is a pocket brochure comprising of an A4 'z' folded insert, protected by two credit card sized covers. 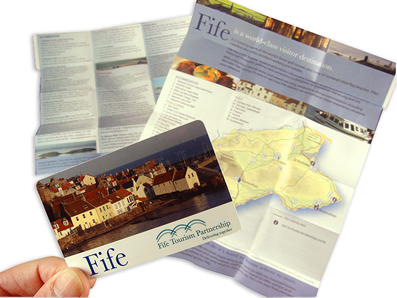 Whilst small in size and easy to carry in a pocket, wallet or handbag the Little Big Card is a pocket size mini brochure with lots of room for printing a map, plan or full location guide as well as advertising places of interest to visit.